Considering the diverse history of both regions, associations with the concept of multiculturalism and cultural diversity in Poland are different from those in postcolonial Western Europe. Even so many Polish handbooks and educational scenarios resemble their Western counterparts and/or treat multi- and interculturalism as a universal and global phenomenon. The first part of the article indicates the differences between Polish and Western associations and presents the most important contexts in which multiculturalism appears in Poland. 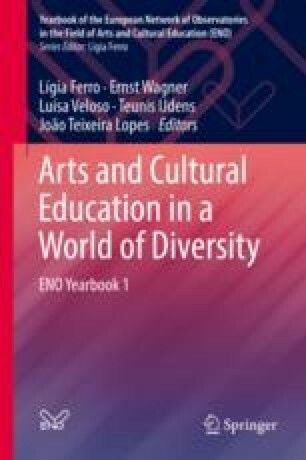 The second (main) part of the article is based on the analysis of three handbooks of multi-cultural education which treat multiculturalism as a universal phenomenon, addressed to Polish practitioners, mainly teachers. Firstly, three kinds of justifications of multi-cultural education are identified: pragmatic, ethical and utilitarian. Secondly, two ways of expressing the idea of multiculturalism for educational activities, present in different proportions in each of these parts, are identified. The first one suggests the cultures are separate, distinct beings, which can be described and are usually linked to a nation. They should be learnt and given respect and tolerance, often contrary to the negative emotions associated with contact with otherness. The second one is aimed at deconstructing ethnic differences and treating them as one of many dimensions of similarities and differences between people and at demonstrating the fortuitousness and contextuality of such differences. Thirdly, several problems faced by multi-cultural education and present in analysed papers are indicated, for example, (1) the difficulty separating different, often incompatible ways of understanding multiculturalism and the tensions between them; (2) the risk of replacing negative stereotypes with opposite generalisations; (3) denial of the existence of social inequalities instead of deconstructing their cultural background; and (4) the risk of strengthening intercultural barriers by essentialising, exoticising and foreignising cultural differences. Białek Kinga, Michalina Jarmuż, and Aleksandra Ośko. 2015. Międzykulturowość w szkole. Poradnik dla nauczycieli i specjalistów, Warszawa: Ośrodek Rozwoju Edukacji. Available at: https://www.ore.edu.pl/wp-content/plugins/download-attachments/includes/download.php?id=6196. Accessed 25 Aug 2017. Brzezińska-Hubert, Marta, and Anna Olszówka et al. 2008. Edukacja międzykulturowa. Pakiet Edukacyjny Pozaformalnej Akademii Jakości Projektu (Część 2), Warszawa: Fundacja Rozwoju Systemu Edukacji. Available at: http://czytelnia.frse.org.pl/edukacja-miedzykulturowa/.Accessed 15 Oct 2017. Bulandra, Adam, and Jakub Kościółek. 2017. Lekcje tolerancji. Pakiet edukacyjny dla nauczycielek i nauczycieli, Kraków: Stowarzyszenie Interkulturalni. Available at: http://interkulturalni.pl/plik.php?id=160. Accessed 15 Oct 2017. Garapich, Michał P. 2016. Wielokulturowość i jej wrogowie,„Liberte!”, 14/03/2016. Available at: http://liberte.pl/wielokulturowosc-i-jej-wrogowie/. Accessed 25 Aug 2017.